The picture you see here is beautiful. Picture perfect even. 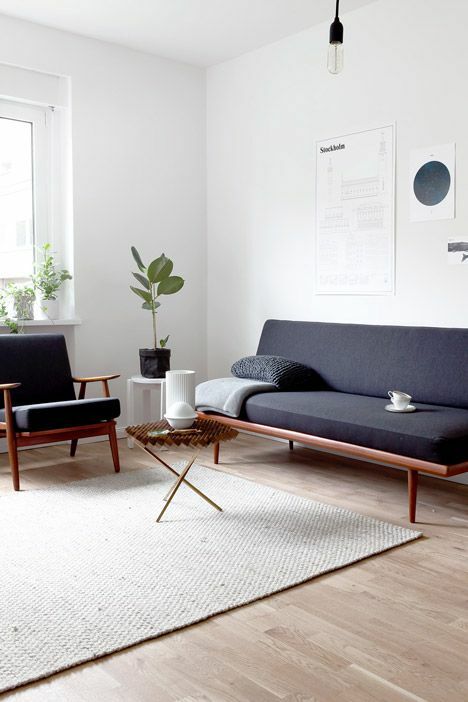 Take one little stroll down Pinterest lane and you’ll see a lot of these kinds of beautiful scenes: Lush rugs, glass tchotchkes, immaculate light gray sofas. And if you’re anything like me you might give a small sigh as you look around your own living room with a sharpie mural on the door and a game of Jenga shattered all over the room. Kids are messy. There’s no getting around it. It’s hard to learn how to be a human and unfortunately organization and not touching things that are breakable is not programed into the human instinct. The biggest mistake people with kids make is to try and create their “dream home” without the kids in mind. “If we’re spending this much time and money then we’re going to do what we want, and those kids better be grateful!” Well big surprise, this will do nothing but create problems for your children. Kids aren’t ready to leave everything where it is- they need to run and jump and explore. Creating a “magazine ready” home isn’t going to be a safe place for your family to grow up. Our homes are FOR our kids to live in and learn and grow and be loved in. If we obsess over cleanliness and keeping things nice it’s likely that we’ll end up hurting our relationships with the ones who matter the very most to us. SO the good news is that you can still curate a beautiful home that is functional and lovely that is actually designed FOR your kids. You may have to wait a few years to display those glass cats on the low shelves but you don’t have to wait to have beauty in your home now. I put together a list of tips that you can do to make your house beautiful and livable with kids in it. The more stuff you have with kids around the more stuff will end up in little messy piles around your house. I’m talking about throw pillows, and furniture and toys and clothes and books and and and… Minimalism is an entire style that you can just embrace. A lot of times less is more and when it comes to kids it really is. This will make keeping things organized a whole lot easier. Let me just say that when I say minimal I know your mind instantly goes to cold, clean line modern spaces. That’s not what I’m talking about. Minimal purely means not a lot of stuff. You could have french country minimal, transitional minimal, mid century minimal. Choose your style and then just get rid of a lot of the stuff that’s within a 3 foot tall person’s arm reach that’s making life harder. If your kids are like mine they are HARD on furniture. Spills and jumping and coloring are a big thing with kids. And I’m actually okay with it. I don’t want to live in a house where I have to monitor every move every kid makes. I want them to be able to jump from the ottoman to the couch once in a while or spill milk on the coffee table. This doesn’t mean I just let everyone do whatever they want but it lets me give everyone a little leeway for mistakes. A big reason I’m okay with it is I buy most (okay pretty much all) my furniture on KSL (Craigslist for Utah) or at thrift stores. I like the price and the quality. A lot of my stuff if I bought that kind of quality new would be thousands of dollars. Whereas if I buy used I can get the quality for an unreal price. When you pay $100 for a couch, even if it’s a nice one from Pottery Barn that you bought on KSL you feel a lot better about your 2 year old climbing up by you to sit on the couch covered in sand from the backyard. If you’re the type of person that simply cannot abide the idea of buying something used then my best advice for happy kids is to just be okay with some stains and use on your furniture. Sometimes the one year old wanders into the living room with a popsicle and leaves it on the rug before anyone notices. He’s not being malicious. He’s just being one. You’ve got to be ready for that. I learned this one the hard way- first hand. Our kitchen floor is white which I actually love the look of BUT it shows EVERYTHING and it’s not worth it. Every little speck of dirt shows on that baby. The same goes for tile, furniture, cabinetry, bedding etc. Medium tones will do much better with ware than extremely dark or light. Leather holds up way better than anything else with spills and ware. You can wipe them clean with a damp rag. Fabric just doesn’t have that magical quality. There are some amazing fabrics nowadays as well but they can be hard to find in the style you want. Leather is available, looks beautiful, and will hold up great. This is just a general design rule that goes across the board but especially if you’re buying vintage you want to choose your colors and then stick with them as you collect furniture. If you do that you’ll be able to maintain a cohesive look that makes your furniture shine instead of looking like just a lot of weird stuff all junked together. Pick a rug, a painting, a favorite piece of furniture and use that for your color scheme. Tip: Don’t choose a paint color to design around - there are thousands of paint colors to choose from and they’re easy to change out. Instead choose your scheme around something special and choose your paint to compliment that instead of choosing your paint and then trying to make everything else in the room work with it. 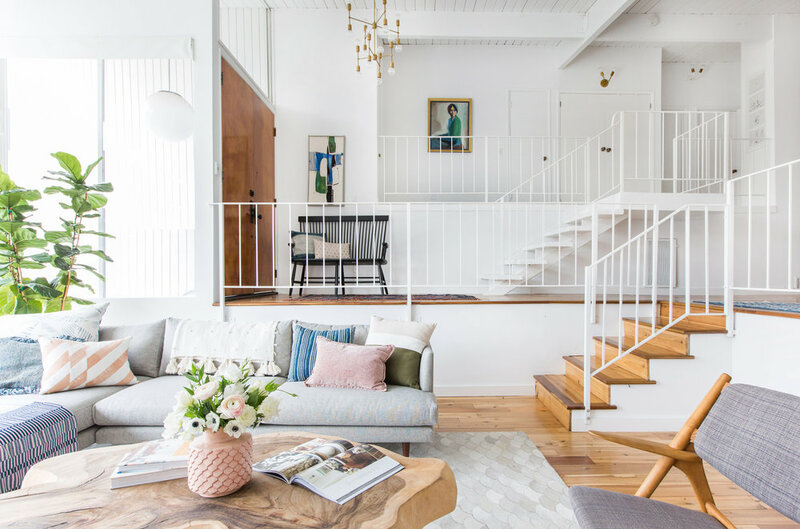 If you have some things that you truly love and you absolutely want to display them then create spaces up high where they can be apart of your home but remain untouched. Finding these kinds of places will bring some beauty that is maintainable. This won’t work in every home but I really think this can be a lifesaver if you have the space. Pick a room in your house that you mentally designate as a zone where everything is a wreck. The kids can play without worrying about cleaning up at the end of the day. This is a relief for you as well cause you can just close the door and keep the rest of the house clean. If a “tornado zone” isn’t really an option then a good idea is to rotate toys. Our family room is where we keep our toys and since it functions as both a living space and a toy room the easiest thing to do is just make sure all of the toys fit in our little toy chest and then keep other toys in our storage room. Every few weeks when I’m cleaning up I’ll take some toys they’re bored of and put them in the storage room and then bring out others that I’ve been storing. Suddenly they’re excited about their toys again. It keeps things fresh and more manageable. My sister-in-law did this when she was helping her 2 year old transition downstairs to make way for a new baby. She put a picture of him by his bed in the new room to look at. I am bad at this cause I have weird commitment issues when it comes to hanging things on my walls but I think displaying pictures of your kids gives them a sense of belonging to the family. My parents have a wall in their living room where they have a picture of each of us as a 3-year old. I always loved going in there and seeing that picture of myself hanging proudly in the living room surrounded by my siblings. It made me feel special. I want my kids to feel that too. Read the feature post here. This last tip kind of sums up all the rest. If you set proper expectations for what your home “should” look like then you will always feel happy in your home. Just know that it won’t always be clean or decorated or photo ready. That is OKAY. I’m not advocating anarchy or just letting your house go. Keeping things clean is a must and if you’re not good at it then keep working to be better cause it makes a big difference BUT when you’re looking through inspiration photos just keep in mind that those pictures are carefully staged and photoshopped. Your home doesn’t need to look like that all the time to be beautiful and fun and a healthy place for your family to be together. There are all kinds of people and personalities and the beauty of life is that we don’t all need to be the same. Some Mom’s are more committed to cleanliness and need that to stay sane, some are less scheduled and want things a little more crazy and everything in between. I’ve learned that lots of parenting methods are good. Mitchell and I have the advantage of having 9 married siblings with kids (between the two of us) that live within half an hour of us so we get to see a lot of parenting styles. The main thing I’ve learned from watching all of them is that there are A LOT of different ways to be a good parent. Any other tips you have for designing a home for kids please add them in the comments below!